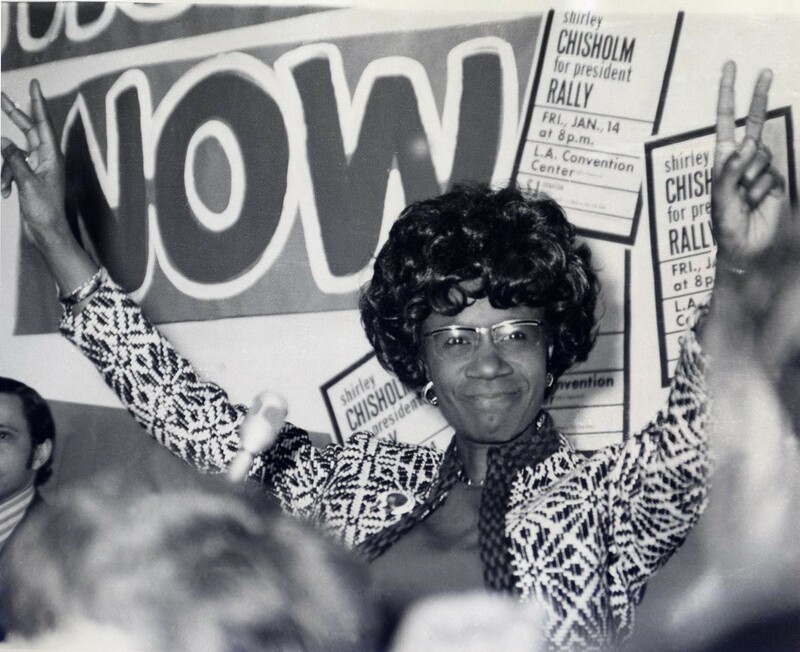 Shirley Chisolm during her 1972 Presidential Campaign. For those of us in the community whose ancestors had to struggle to earn the right just to vote, let alone hold elected office, every seat matters. That is why the fact that this seat, Suffolk County Register of Deeds, is up for public election and not private appointment is so critical. Any chance for a member of the community to stand up and earn the right to represent the best interests of their neighbors is important. And we vote for this position because the individual chosen to lead these efforts of advocacy should have a complete and practiced understanding of what needs advocating for when it comes to property ownership. They should be entrenched in their community and have the ear of the people they serve. They should understand the complexities that come with such wealth and provide tools to make collective homeownership more available, more responsible and more engaged. They should make the place you go to acquire the wealth of home ownership the same place you go to preserve that wealth. That is why I am running. Because this is an opportunity for me to stand up and be heard. To take my place at the table and represent an entire community of those who have felt left behind. This election is an opportunity for communities to feel as if their leadership truly represents their story and their best interests. If positions such as these were simply left to administrative appointment then the opportunity for neglect and focus on personal, rather than public interest, would be far too great. We would see an office whose purpose was less motivated by constituent advocacy because the office holder didn’t have to work to earn the people’s trust. 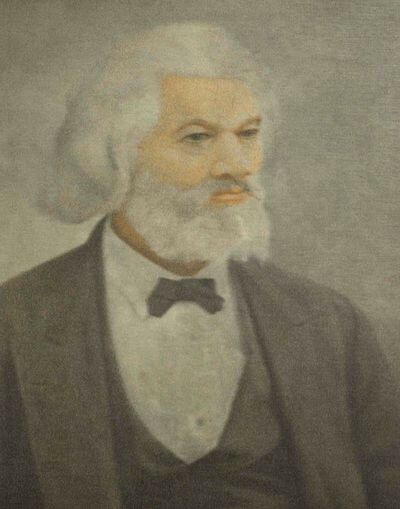 Portrait of Frederick Douglass in the D.C. Recorder of Deeds Building. Frederick Douglass was elected the first Recorder of Deeds for the District of Columbia. At a time when people of color were not allowed to own property in most of the nation, Douglass took this position as an opportunity to advocate for the advancement of future property owners. He felt it was a chance to build our community and work towards a time when people of color were not simply property, but invested and engaged owners themselves. That any chance for a member of our community to stand up and earn a seat and the right to represent the best interest of their neighbors is important. But all of this only matters if the voters invest. I’m not afraid of losing this election. This is not my first rodeo and I have lived to see another day and it never stopped me from caring about my family, my community, or my city. I’m not afraid of the media choosing to ignore my presence in this race, reducing me to a single-sentence mention in an article despite 10 years of housing experience, including drafting and passing existing legislation. I’m not even afraid of the fact that no one has bothered to report that I have earned a little thing called a law degree, started my own firm, and did so after surviving being a homeless teen mom living in shelter. None this is my fear it’s actually my motivation! My biggest fear is that we prove them right. I fear that the commonly held belief that citizens of color don’t vote, that we aren’t engaged, that we don’t care for our community will ring true. I fear that we will continue to receive what’s left over, only be engaged during an election season because they hired a ‘community of color organizer’ that sells us the lemonade of hope and change only to be absent until the next election cycle. I fear that we forget that being the first is not just historical but a huge weight of responsibility that our ancestors fought hard for us to have the opportunity to achieve. The opportunity to move from being on the menu to being the head of the table. That’s what people like Douglass and Chisholm fought for. That’s what I am fighting for. No matter what happens in 6 days let us not prove them right. Come out, show up, and vote. I want your vote, but more than that I just want you to vote. Be heard. Realize the power you and your vote hold. Make this country know that they should fear our community coming out in a show of unity and strength and stop banking on us being disengaged and uninformed. The fist we raised more than 50 years ago was not to show individual strength but the enormous power of a people United. It is time for us to show them why every seat matters. 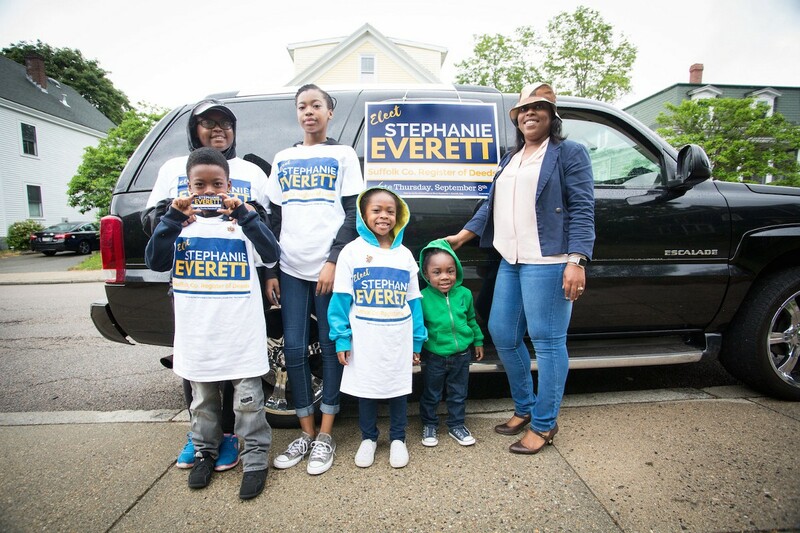 Stephanie is running for the Massachusetts Suffolk County Register of Deeds in the Special Democratic Primary NEXT Thursday, September 8th.